It took less than a week for the group to quietly withdraw this challenge, as entrants provided far more than five names. Though the withdrawal came before I could make a submission, I came up with at least five names from Judaism alone: the Jewish teachers Gamaliel, Hillel and Shammai; and the Jewish miracle workers Hanina ben Dosa and Honi the Circle-Drawer. John the Baptist could go in there as well if Biblical evidence is disallowed (as it is for Jesus). Our co-author in this volume, Christopher Price, also came up with the Maccabean family from the intertestamental period and a number of revolt leaders such as Theudas. Outside Judaism, we could propose Confucius as an example if his Analects are disallowed as the Gospels are for Jesus since it is possible some of those were written within 25 years of his death; the Greek leader Solon, and Apollonius of Tyana. Is the other prong perhaps defensible? Could we select some figure widely regarded to have not existed, and compare the evidence for Jesus to see whether they are equal? A number of candidates come to mind for this excursion—such as Robin Hood or King Arthur—but we will here choose to highlight the legendary Swiss freedom fighter William Tell. It will be necessary to offer some background about Tell in order to provide a context for further discussion. According to the story, in the year 1307, Hermann Gessler, an official of the ruling emperor, was sent to Tell’s region to enact a loyalty test for the emperor’s subjects. Tell refused to perform the test and was arrested. Tell’s punishment was to shoot an apple from the head of his own son, and if he succeeded, he would be granted freedom. Tell did succeed but revealed that he had reserved a second arrow with which to shoot Gessler had the first arrow hit his son. He was again arrested, but escaped, and eventually shot Gessler. Afterward, Tell and three others signed an oath of mutual aid at a place called Rutli. Tell’s acts of defiance, and his cooperative efforts with his three friends, eventually sparked the founding of the Swiss Confederation. How does the evidence for Tell’s story stack up when compared to the evidence for Jesus? Earliest mention: The earliest NT document may be Galatians or 1 Thessalonians, which may be dated around 45-50 A.D. The earliest mention of Jesus is, therefore, less than 20 years after Jesus lived. We are assuming, of course, that mythicist readings of the NT are invalid. If instead Josephus and Tacitus are admitted into evidence, we have mention of Jesus first between 60 and 80 years after his death. The earliest account of Tell’s exploits can be found in a work called the White Book of Sarnen, usually dated around 1470. This would have been 160 years after the incident recorded of Tell. Therefore, even giving mythicists their best scenario, the evidence for Jesus is superior to that for Tell by about 100 years, and if we grant the best scenario for the historicist side, the “superiority gap” is widened to 140 years. Parallel stories: An interesting component that seems to work in favor of mythicists has to do with the claim that parallels to the life of Jesus found in the Old Testament, or in pagan works, support the mythicist case. A similar argument is used against the historicity of Tell. The appeal is made to a story of a Danish king named Harald Bluetooth, who reigned from 936 to 987, and a Viking chieftain named Toko. In that story, Toko played a Tell-like role, boasting that he could shoot an apple off of his little son’s head with an arrow. The king accepted the challenge, and after Toko successfully fulfilled it, he, like Tell, admitted that he had held two arrows in reserve to kill the king had he succeeded. Unlike Gessler, the king took the answer in stride, but Toko later joined a rebel group and killed Bluetooth with an arrow. 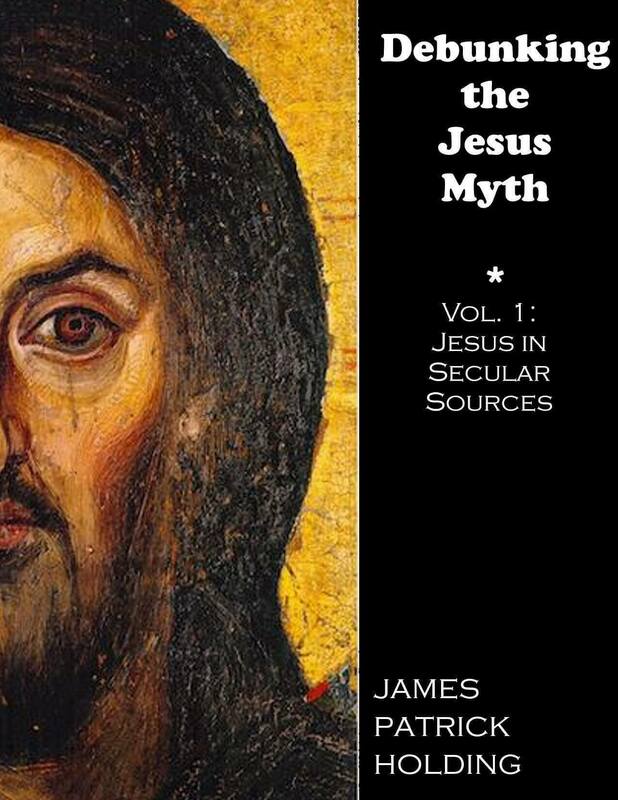 From the comparisons above, it seems fairly clear that the case for a “Tell myth” has everything that the Christ myth lacks: A wide gap between the reputed date of existence and the earliest mention of the person; critical silences in key places—not about details about the figure, but with respect to the figure itself; and a consensus of professional historians. If the mythicist theorists ever manage to achieve all of these…then perhaps they can give us a call. For more, and for a revealing account of Price’s experience with this “contest” see <http://christiancadre. blogspot.com/2006/07/foolishness-from-rational-responders.html> Accessed April 12, 2008. Alan Dundes, “The Apple-Shot: Interpreting the Legend of William Tell” in From Game to War and other Psychoanalytic Essays on Folklore (University Press of Kentucky, 1997), 47. Robert Wernick, “In Search of William Tell”, Smithsonian, August 1, 2004. <http://www.smithsonianmag. com/history-archaeology/search.html> Accessed April 12, 2008. “William Tell: Celebrating a Republican Icon”, The Independent, November 17, 2007. <http://www.independent.co.uk/news/europe/william-tell-celebrating-a-republican-icon-400705.html> Accessed April 12, 2008.